1025.00 sqft. - 1483.00 sqft. 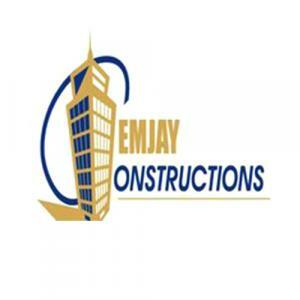 Surrounded by tranquil settings, Emjay Shyam Residency is a modern residential development by Emjay Group at Shyamnagar, Kolkata. Tucked with all the amenities and facilities, this aesthetic project ensures that you live a plush and comfortable lifestyle. Allowing maximum sunlight and ample ventilation, every abode is planned by the architectures to maintain spaciousness and privacy. 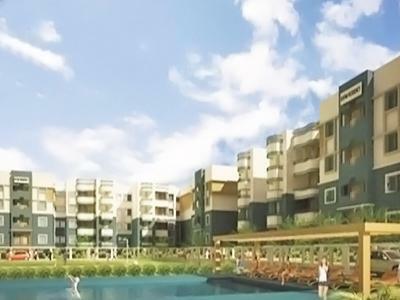 Connected to all the conveniences, the builder ensures that residents breathe fresh air and live a healthy life. Well appointed with all the fittings and fixtures, it ensures that you celebrate every moment you spend over here. Shyamnagar is a popular suburb located in Kolkata, West Bengal. Barrackpore-Kalyani Expressway and Kalyani Expressway are the two major roads close to this area. Both of them are well connected to the capital city of West Bengal, Kolkata. The Hooghly River passes close to this area, which helps to keep the environment pleasant all year round. Regular ferry services are available on river Hooghly from Shyamnagar to Bhadreshwar (Chandanagore) at a regular interval. Jagaddal and Shyamnagar Railway Stations are adjacent to the place, connecting it to other key areas. Wiremesh Weaving Industry and Bettco Industry are some of the prominent industries in this area. St. Augustines Day School, Mondalpara Vidyaniketan and Haraprasad Shastri Vidyabhawan are some of the eminent schools in and around this area. A famous Kali Temple is situated in between Shyamnagar Railway Station and river Ganges, known asMulajore Kalibari. The place is rich in culture and sports, especially football.